for Light Sport, experimental and ultralight aircraft . 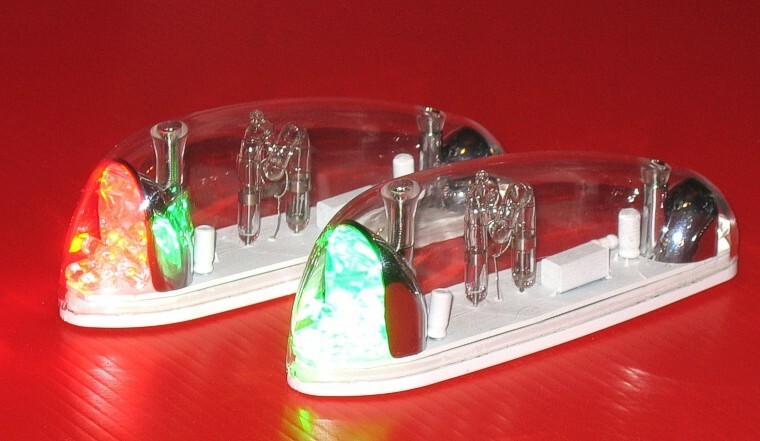 . .
Skybright Nightlight system . . .
A strobe/position-light system in our streamlined housing. 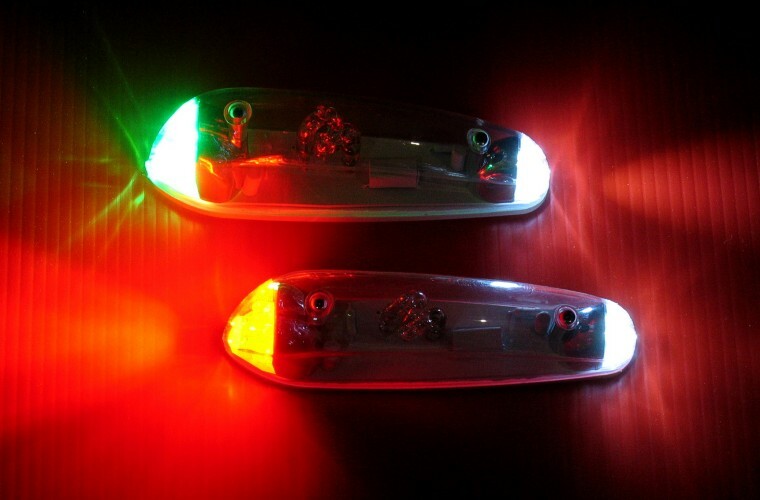 A pair of units includes red (left) and green (right) forward LED lights and white rear LED lights, with our super-bright strobe in the center. 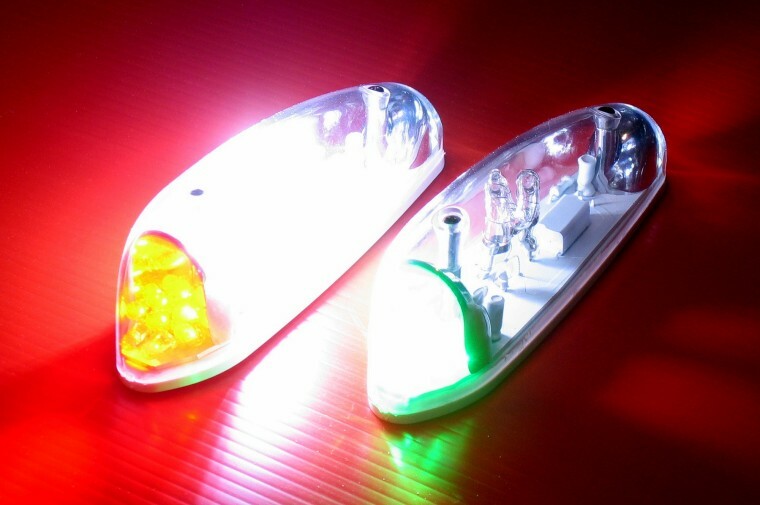 please note... Our Nightlight system is now discontinued, but still listed on our web site for reference purposes -- we now recommend instead the Whelen Microburst-III all-LED wingtip system as also listed on our web site. The Skybright strobe/position-light systems include the strobe power supply (requires 12VDC power). Our special strobe power supply is "programmable" to 12 different flash patterns! The system can be easily set for each strobe head to single-flash, double-flash, triple-flash, quad-flash, and in several alternating combinations. 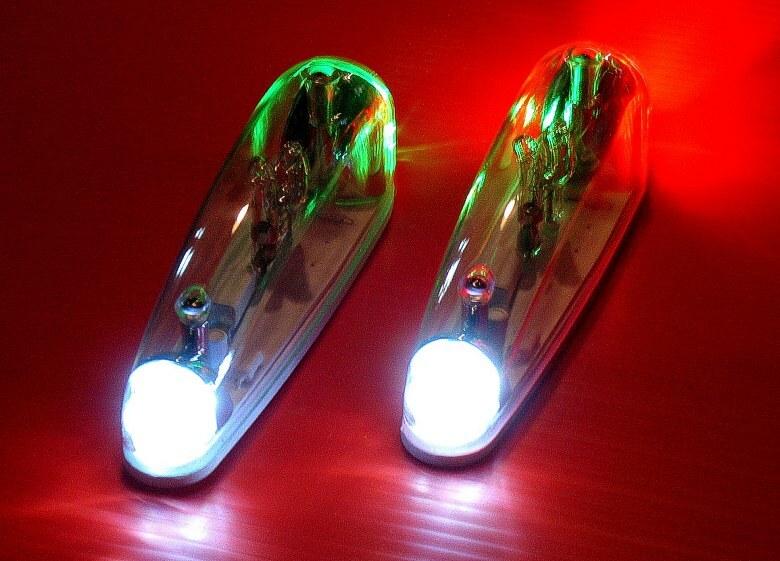 This special feature allows you to set the strobe flash pattern that will be most effective for your application and installation. The strobe power supply weights 17 oz. and draws 40 watts at 12v.